We create to connect people to the parks in a way that encourages lifelong learning, and to generate sales revenue to support innovative park programs that are inspiring, reach new audiences, and promote the enduring relevance of public lands. We publish so that you—the wanderer, the visitor, the student—can connect more deeply to your national parks, whether what you want is as concrete and definitive as trail directions or as subtle and glorious as art. We publish the artists, historians, scientists and writers that want you to understand your heritage. What we publish is inspirational, educational, enjoyable, and undertaken with an eye toward stewardship. We keep our publications updated and relevant because times, tastes and interests change, as does the living landscape. Our unique position in relation to the people and places of the national parks enables a nimbleness and accuracy in publications. Additionally, our park stores specialize in finding local and national publications that focus on the culture and ecology of Hawai‘i and range from reference books to gorgeous photography books. We also carry Hawaiian music CDs, and DVDS that delve into volcanism, legends, creation myths, and island history. Few books do a better job of walking the reader through plants, insects and animals of this World Heritage Site and International Biosphere Reserve. A must for anyone with an interest in conservation, natural history, ecology or Hawaiian studies. Glimpse into the mysterious inner workings of Hawaiian volcanoes. This popular book reveals the world of a volcano observatory, the work of its dedicated staff, and the techniques they use to monitor volcanic activity. Learn about these and other volcanoes. Vintage photos and maps are among the 86 pages that laid out the need for protection of one of the last, undeveloped Hawaiian sites in Hawaiʻi. Learn about the past as well as the people who carry on the story of this national historical park. This 48-page booklet is compact but bursting with trail information on both the Summit and Kīpahulu Districts of Haleakalā National Park. Learn trail distances, elevations, and enjoy the easy "talk story" narrative, which folds in history, geology and botany. At the southern end of Hōnaunau Bay, Hawaiʻi, a centuries-old stone wall marks an ancient place of refuge, or puʻuhonua, that offered sanctuary to any desperate fugitive who could reach it. This book tells the story of that sacred place. Presenting rare and dramatic 1959 Kīlauea Iki eruption footage as well as extensive documentation of the1960 Kapoho eruption that buried the town of Kapoho completely. Filmed by the U.S. Geological Service and the National Park Service. More than two hundred years of volcano watching in Hawai'i are captured in this excellent pictorial history. Superbly illustrated, the book also traces the development of the Hawaiian Volcano Observatory inside HawaiʻI Volcanoes National Park. Stops along the trail in this trail guide reveal the story of a dramatic eruption in 1959. A well-marked path leads you through lush rainforest along the rim of Kīlauea Iki and down to its still-steaming crater floor. This trail guide tells the story of one of the longest known rift zone eruptions of Kīlauea. The well-marked trail crosses massive lava fields, skirts gaping fissures, and takes you to spectacular features formed by rapidly cooling lava flows. This is a 24-minute official National Park Service video of the March 1984 eruption of Mauna Loa volcano on the island of Hawaiʻi. Enjoy exciting documentation of the most recent eruption of the largest volcano in the world. Explore five exciting field trips in this newly revised and updated field guide to Kīlauea volcano. Join vulcanologist Richard Hazlett as he thoroughly investigates every aspect of this active volcano from ancient lava tubes to recent lava flows. Our thoughtfully-designed, custom-created sales items connect the visitor to the natural and cultural resources of our park partners, and enhance the park experience by providing a deeper understanding. These keepsakes forever remind visitors of their experiences in the parks they treasure.  Our park stores (and online store) are the only places where visitors can find park logo-branded items that feature the iconic landmarks and species for which our national park partners are known. We have created vibrant pins, patches, hiking medallions, shirts, hoodies and more so that park visitors can share their love of, and show their support for, the national parks of Hawaiʻi and American Samoa. Makana the Nēnē Plush is an example of custom development that breaks new ground in terms of the benefit of the sales item to our national park partners. We created the most realistic plush nēnē in the world by working with park staff, then dedicated one dollar from every sale of the plush directly to programs that support nēnē in the parks.